Collecting retro games can be a tough row to hoe, and hunting for NES titles can be downright perilous. There are around 756 officially licensed games that were released in the US during the NES life cycle, but after the console left market in the 90s, the desire to "catch em all" didn't go away with some gamers, and eventually, prototypes of unreleased games became the holy grails of the NES library. some collectors have taken it upon themselves to make these never before released titles available to play via emulators, while others have gone the extra mile to make the games available to play on actual cartridges that are playable on the NES. 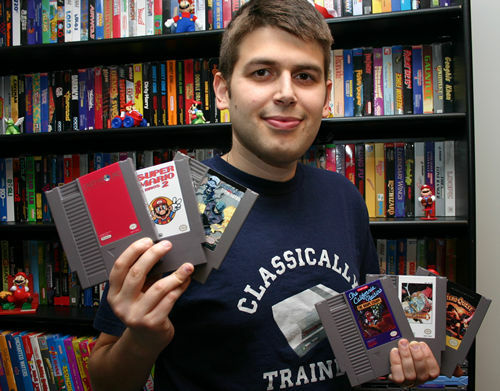 One such collector, Leon Kiriliuk of NES Reproductions, has brought us here in the good old USA some titles that would have never gotten official releases here, as well as prototypes, homebrew games, and hacks that breathe new life into titles that have long seemed dead. for his personal collection, word got out and requests started coming in. Fast forward a few years and Kiriliuk is providing reproductions of well known unreleased prototypes, Famicom imports, and homebrews that you'd be hard pressed to find outside of an emulator website. Of the close to 60 titles available on his site, the most popular seem to be Earthbound(the prequel to the insanely popular SNES title) and Super Mario Bros. 2(known to American Gamers as The Lost Levels). Kiriliuk's site also features rereleases of Tecmo Super Bowl that contain current rosters(TSB 2013 was recently released in September) and the now infamous prototype of Seta's Bio Force Ape. the cost of these games is $25(shipping included). I'll be picking up a few games from Kiriluk and will be reviewing them as soon as I get them. Leon Kiriliuk has successfully given the gaming public a way to play some games that would never have seen the light of day here in the US the way they were meant to be played. While he admits that he probably won't be able to continue providing his reproduction cart service for too much longer, it's awesome that he's able to do it while he can. This guide is fluid, and as such, new items may be added. Stay tuned for any changes that occur. The weather is starting to get brisk, the leaves are starting to turn, and Wal Mart is advertising their Lay Away program. This only means that the Holidays are right around the corner, and to help you shop for the gamer on your Christmas list, We here at The Digitized Ramblings Of An 8-Bit Animal are going to give you our picks for the best stuff to pick up for the Holiday season. 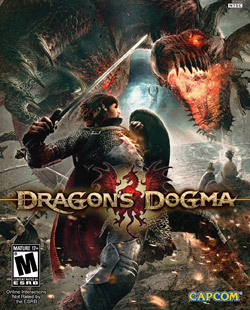 Dragon's Dogma - Capcom: This one snuck up on a lot of gamers, but proved to be as awesome as advertised. A fantasy RPG with excellent combat, deep customization, and a gorgeous countryside to explore, Dragon's Dogma would be a great pickup for any RPG fan looking for something not called Elder Scrolls or Final Fantasy. Mass Effect 3 - Bioware/EA: The conclusion to one of gaming's great trilogies, Mass Effect 3 gave players everything they could have asked for (except for the ones who complained about the ending, but Bioware gave them that too). With the announcement of a compilation of all three ME titles, this one may be dropping in price soon. Max Payne 3 - Rockstar: After nearly a decade, the third installment of the most depressing cop story in gaming history fell into the hands of gamers last May, and while it didn't reinvent the wheel, it was a solid third person shooter. Lollipop Chainsaw - Warner Bros./Grasshopper Manufacture: The latest action title from the painfully awesome developer Grasshopper Manufacture was as controversial as it was fun, and with it dropping in price, this may be a great time to pick up a copy. Transformers-Fall Of Cybertron - Activision/High Moon: The followup to the critically acclaimed War For Cybertron, This title continues with all the awesome provided in the first game and throws in some new stuff as well. Borderlands 2 - 2KGames: Part RPG, Part FPS, Party Online Party...Borderlands 2 takes everything that was fun about the first game and builds something that you honestly have to play to truly appreciate. 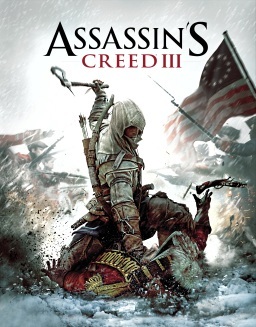 Assassin's Creed III - Ubisoft: This installment of the insanely popular stealth action game moves the player to the birth of the United States of America, and tasks them with helping the Minutemen push back the British army. Call Of Duty-Black Ops 2 - Activision: The long running First Person Shooter franchise returns with it's latest installment and some major tweaks to the series' multiplayer, that long time COD players will either love or loathe, but should help to draw new players in. Zone of the Enders HD Collection - Konami: Take Hideo Kojima's giant robot masterpiece and give the games all new cutscenes, a shiny HD redraw, and loads of bonus content and you may have a $40 gem in your hot little hands. Halo 4 - Microsoft: One of the biggest titles to be released this year is a first party. It's also the latest in a series of games that changed the way we play First Person Shooters. After the highly publicized departure of Bungie from the Microsoft umbrella, all eyes are on Halo 4. Disney's Epic Mickey 2-The Power Of Two - Disney Interactive/Junction Point: Arguably the best Disney game since the 90s was Epic Mickey, but a lot of folks missed how incredible it was because it was a Wii exclusive. This time, the sequel will show up on all consoles, including Nintendo's WiiU. It also features co-op play that may not require player 2 to be on another console to take advantage of. NBA 2K13 - 2KGames: Every year, critics and gamers proclaim the latest iteration of NBA 2K "the best sports game ever made". According to reports from gamers who currently own the title, this years' game blows last years' out of the water. Dishonored - Bethesda Softworks: Giving the player multiple options when it comes to the way they seek out their revenge is a good thing. The way Bethesda gave players those options in Dishonored makes it a must play. In an effort to fairly recommend games to the consumer, no WiiU recommendations will be made until the console and launch titles are released to the public. There you have it. I hope this list gives you some insight on a few titles I think will be worth your $50-$60 this Holiday Season. Nowadays, most gamers expect the biggest and best games to be the product of huge teams working on a tight and fast schedule. Most games aren't the work of one person anymore like they were in the early days of gaming. Dean Dodrill has bucked that trend in impressive fashion with Dust: An Elysian Tail. Dodrill is solely responsible for every piece of the actual gameplay of Dust, while he had assistance with writing, voice acting, and soundtrack duties. Dodrill effectively eliminated the problem of having "too many cooks in the kitchen" by working on this title's gameplay for pretty much the last 3 1/2 years. Did this translate to a good game, though? To put it lightly, this may be one of the best titles I have played this year. Dust begins with it's titular character unconscious in the woods. He is roused by two voices, that of a nervous little creature named Fidget and the deep haunting voice of a spirit housed within the Sword of Ahrah. The sword informs Dust that he is destined for something great, even though Dust can't remember anything. Dust is immediately attacks by monsters and uses the sword to fight them of, though he doesn't fully understand how he's able to do what he did to fight off the monsters. These first few moments set into motion a story that would prove effective for a manga or a limited run animated series it is so well written, albeit cliched at points. Dust's journey to unlock his past contains a few plot twists that nobody will see coming right away, and that's one of the hallmarks of a good story. Gameplay wise, Dust is engaging, fun, and gives you a feel reminiscent of two of my favorite Vanillaware titles, Muramasa: The Demon Blade and Odin Sphere. The action flows incredibly well and with enemies respawning when the player goes back to a screen, there is ample opportunity for stat grinding without it feeling as such. controls are tight and responsive, and the "Metroidvania" level design gives everything a seamless feel. The combo system is simple, yet it does have a bit of depth that one may not expect from a downloadable game. The downside of such simplicity is that there is no real penalty for spamming the basic three hit combo throughout the entire game, but stringing together lengthy combos does reward you with achievements and bonus experience. The item building mechanic is possibly the only thing that seems to need tweaking as far as the balance of item appearances is concerned, as one can accumulate ridiculous amounts of one material while never being able to find some. Thankfully shops frequent the landscape and provide a place to dispose of useless items. Aesthetically speaking, Dust is a gorgeous game. The character animations are fluid to the point that at times it feels like Dodrill channeled Jordan Mechner (of Prince of Persia fame) during the character design process. The character art seems like it jumped out of a top rate anime, and the backgrounds are incredibly bright and colorful. The voice acting is superb and conveys the emotions of the different characters incredibly well, while the game's score builds mood is strong fashion. In a word, this game looks and sounds as fun as it plays. 2012 has been an interesting year in gaming, especially in the realm on downloadable and independent games. With all of the great titles that have appeared on download services this year, it can be a bit of a surprise to some that a game conceived and largely developed by one man could be one of the year's best. What Dean Dodrill achieved with Dust: An Elysian Tail not only put him on the gaming radar for years to come, but it brought back memories of the early 80s and the birth of Activision. Anyone wanting to play an engaging action adventure title with beautiful visuals and a story that will make you feel an array of emotions should play Dust: An Elysian Tail, they won't be disappointed.